With the new announcements I was guessing if we could have a gay pride flag as an icon and even the lesbian, bi & trans flag! That would be really cool. Considering that there are flag icons for countries, it would be really nice for Blizzard to add these! God yall so mad about this im living. the homophobia jumped out. Lets not, i think that it will feel really bad in the game, like give people an excuse to pick on someone. Like this is a game your team doesn’t care for your gender and the once who do will just use it for insults. haha I would wear that. Can we leave sexuality OUTSIDE this game ? Or needs to be there because internet is autistic ? Given the fact that Blizzard already keeps political stuff outside the game - nowhere in the game is mentioned that tracer is homosexual - I doubt that they will do it. If you’re going to do a rainbow, you’re kind of obligated to do bi and trans as well. All or nothing. The icon I currently use is essentially the bi flag so I guess we kind of already have this? But, but, but … genders have nothing to do with sexuality … that’s a common misconception and lies that media fed you for over 50 years. Emphasis on “in the game”. Is there any evidence in the software that shows tracer being homosexual? Comics are just external content, not internal. Ok, to be fair, there was no bragging in the story about him being g4y. It just seemed like a genuine realationship. It even makes sense because, in a futuristic world, they learned to accept love for everyone but now struggle with love for omnics. They basically hit the next moral challenge. Though that viewpoint might be because I’m homosexual myself… I might see it as normal, which is why it didn’t surprise me that much. The fact that you think a character is “ruined” simply by not loving women shows enough about your personality that it is pretty clear you don’t deserve an opinion on this topic. it is pretty clear you don’t deserve an opinion on this topic. Don’t you dare say that again! As long people stay civil, they can share their opinion how they like, even if you don’t like their opinion. Sure, I don’t like their opinion, too, because it shows intolerance but I tolerate intolerance as long that intolerance doesn’t turn into violence. Otherwise, you are just as bad as the other person. She has a spray with Emily, her girlfriend. And on King’s Row, she talks about visiting Emily but decides not to because it would distract her too much. So yes, there is evidence in the software. Yeah, I found that now, too. However, are they really pandering? 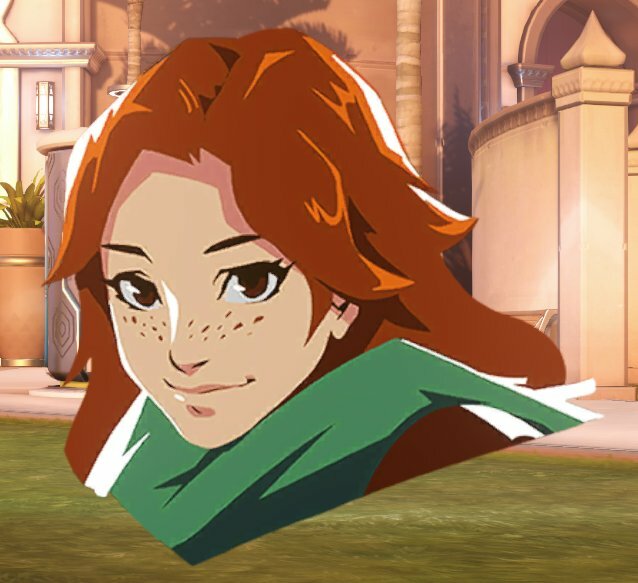 If you don’t know the backstory of tracer’s and Emeli’s realationship, you wouldn’t even know that she’s her girflriend out of those 2 things. Sym is apparently autistic, does that mean she IS the internet? The fact that you say “don’t you dare say that again” makes me almost want to say it again. But I’m bigger than that. Eh, reversed psychology… I completely forgot. Still, not tolerating intolerance makes you just as intolerant as the intolerant person. Emily is too cute to be playing for the other team.